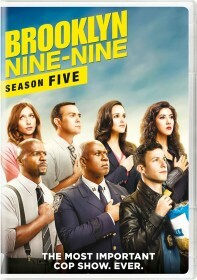 FOX has released the description for the February 15 episode of Brooklyn Nine-Nine. Marc Evan Jackson returns as Kevin, Captain Holt's husband, in this episode, "The Wednesday Incident". Brooklyn Nine-Nine returns this Sunday, January 25 with the episode "Defense Rests", featuring guest stars Kyra Sedgwick and Eva Longoria.